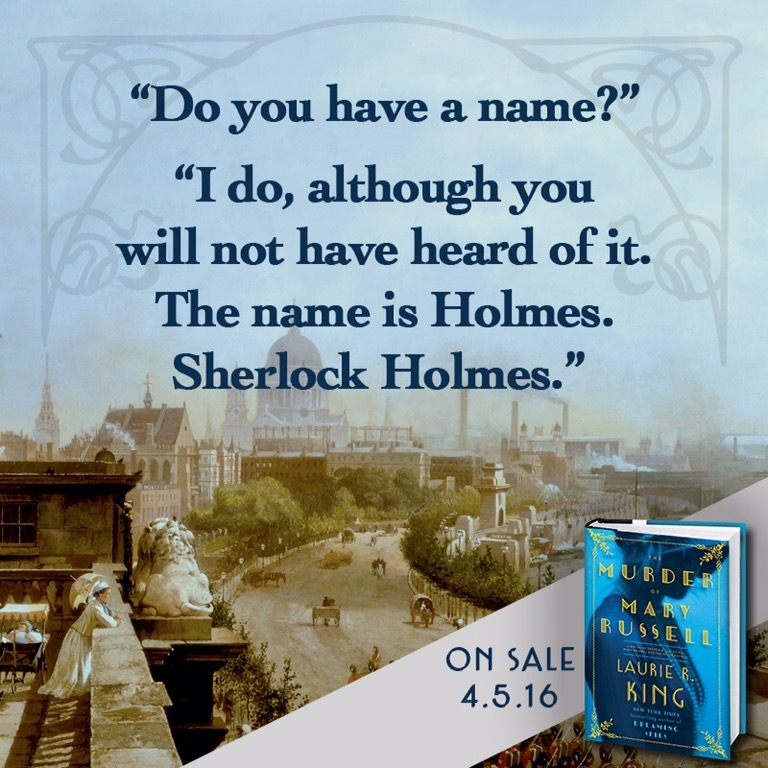 This is the 15th Mary Russell (aka Mrs Sherlock Holmes) mystery, narrated by Mary and this time with Mrs Hudson. Everyone has a backstory, and this is Mrs Hudson’s. Knowing Holmes and Russell, could you have expected less of Hudson? She was a beauty who overcame heartbreaking challenges, lived on the edge and risked everything. A completely new twist on her relationship with Holmes. They are very much historical novels, period pieces with intriguing mysteries. Mary is a strong female protagonist, intellectually formidable, equal with Holmes with a subtle personal relationship that I find tantalizing and perceptive. She remains one of my favourite bluestockings. Doyle should be impressed. Would that Cumberbatch gets interested. It is an interesting puzzle, an intricate plot, a fascinating view of the 1860-1880s (as well as ‘current’ 1925), with intriguing layered characters and detailed backgrounds, all making for another very satisfying read. I’m going to reread the series in light of these revelations to see if I really missed the clues about Billy or Mrs Hudson. I can’t wait for the next adventure. 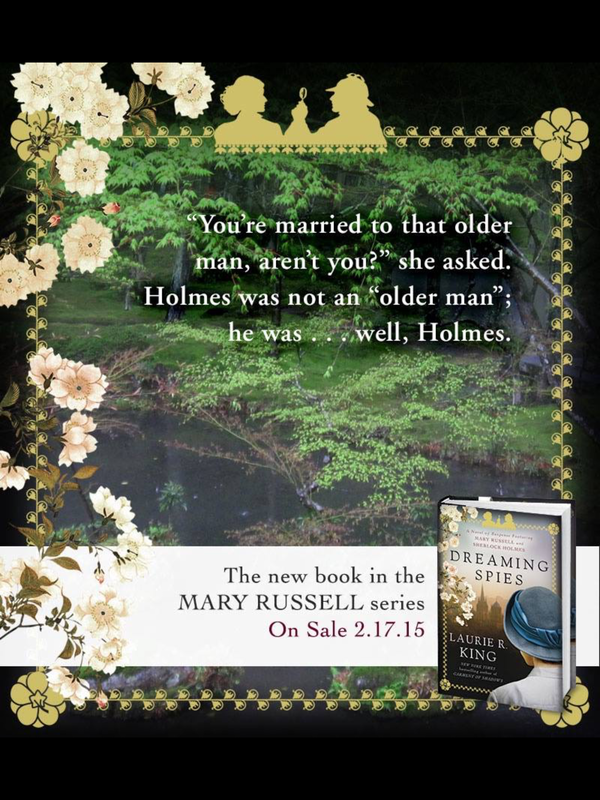 Don’t miss King’s recent short story on the Marriage of Mary Russell either! I will no doubt buy a hard copy, and continue to recommend her earlier novels. You can read this independent of the others but why? Start with the first: The Beekeeper’s Apprentice and enjoy the character development and progression (and adventures!) They often follow directly on from the previous book. I was married to Sherlock Holmes, had known him only a few hours longer than I had known Mrs Hudson, and the basic fact of life with Holmes was: the world is filled with enemies. I see what you are up to, it said, but I love you anyway. …my bereft heart had claimed Mrs Hudson for its own. I had known her for ten years now, lived with her for more than four, and she was as close to a mother as I would ever have again. The embrace was as brief as it was emphatic, and left Billy open-mouthed as Holmes stepped away from me – one hand lingering on my shoulder. I felt a bit open-mouthed myself at this unprecedented public display. Laurie R King is a best selling author of the Mary Russell/Sherlock Holmes series, SanFran Homicide Inspector Kate Martinelli series, as well as stand alone suspense novels. She has been nominated for and won many awards for her writing, (including a Nero for A Monstrous Regiment of Women, (Russell/Sherlock) and a MacCavity for Touchstone, one of my favourite mysteries). The first Russell/Sherlock is The Beekeeper’s Apprentice (1994). But don’t miss Beekeeping for Beginners (2011), a novella written from Sherlock’s perspective. King has also written a number of short stories, which are all worth collecting. She is co-editor with Leslie Klinger (master authority on Sherlock!) of A Study in Sherlock and In the Company of Sherlock Holmes. Visit her website at http://laurierking.com: enjoy her blog posts and facebook! This is the 14th Mary Russell (aka Mrs Sherlock Holmes) mystery, narrated again by Mary as an older woman recalling her adventures with Sherlock. As such they are very much historical novels, period pieces with intriguing mysteries. This book takes place after The Game and before Locked Rooms, in 1924 and 1925 (although 4 other novels are also before the ending). Mary is a strong female protagonist, intellectually formidable, equal with Holmes but with a subtle personal relationship that I find perceptive. She is one of my favourite bluestockings. This story also introduces Haruki Sato, a deceptive, memorable character, a respected shinobi. I would love to meet her again. Part of this story is a flashback to their voyage to Japan aboard the Thomas Carlyle where Holmes spies a blackmailer /English clubman, whom he would like nothing more than to apprehend. There are memorable descriptions of this voyage and their exposure to the customs and traditions of Japan. A variety of mysteries and tests complete that adventure, but then Ms Sato appears in Oxford nearly a year later. We are back in The Bodleian to recover and replace forgeries of an ancient Japanese haiku poet Matsuo Basho. It is an interesting puzzle, a fascinating travelogue, with intriguing layered characters, and detailed backgrounds, all making for a very satisfying read. I will no doubt buy a hard copy, and continue to recommend her earlier novels. You can read this independent of the others but why? Start with the first: The Beekeeper’s Apprentice and enjoy the character development and progression (and adventures!) They often follow directly on from the previous book. If you like Sherlock Holmes you will enjoy this series. Make note of the authors with membership in The Irregulars, or books sanctioned by the Conan Doyle Estate. Read the short stories by various authors in A Study in Sherlock and In the Company of Sherlock Holmes. What is it about Oxford that puts one in a poetical state of mind? The house was silent, weighty with the comfort of a thousand books. This was far from the first time I had stood on the terrace with a cup of tea, appreciating not being elsewhere. (It was just a pub) Heaven lay within, an ancient gathering space that could only be in England, every breath testifying to its centuries of smoke and beer, damp dogs and the sweat of working men. We watched Bombay recede, then went below to arrange our possessions, and our bribes. The face he lifted to me held that bright optimism I have learned to dread. Allowing the world to think I am a character in some stories is the only way to obtain a degree of freedom. We slept in hard cotton mattresses laid on the floors, our heads perched on pillows stuffed, apparently, with gravel.